The first and only boutique "Revolución del Sueño" in Sayulita, Mexico offers designed products in limited edition, with quality fabrics. Revolución Del Sueño, is the meeting between a couple and Mexican History, and traditions.The clash of cultures and the telescoping of times, combined with modern techniques allow designers to regularly offer original and out-of-the-box creations. Each creation is produced in small workshops, in limited quantities, in order to frequently offer its customers, new designs and exclusive creations. Revolución del Sueño meaning the Dream revolution. Rigorous (with the quality of our work). I loved this store (best in Sayulita in my opinion) wish I would have bought some stuff but they told me i could buy online but have been unable to get onto website. Staff was very helpful and the store is very unique and colorful. I wanted to buy everything and was also informed the store's website, rotation of new inventory, etc. This store should definetly be on your list to places to see in the town! Loved loved loved this store!!! Some of the best shopping in town! We discovered this great boutique a couple of years ago while visting Sayulita, and we were so excited to see it flourishing when we returned at Christmas again this year. Revolucion Del Sueno has amazing, colorful, funky, unique clothing and gifts - from hip t-shirts, hats, caps, and clothing, to great art, textiles, and beautiful jewelry. The staff is so friendly and diverse, and they all speak excellent English (for those of us who are seriously challenged with our foreign language skills). Did most of our gift shopping here , and picked up several items for ourselves to remind us of our great vacation in Sayulita! Cool shirts, cool owners, cool vibe! So very cool that Sayulita has such a chic shop like this. 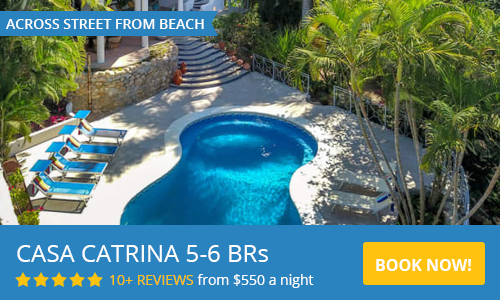 A must see on the Sayulita tour.